Even though the Command Force release was delayed, Nike Sportswear brings back this 'White Men Can't Jump' edition of the Flight Lite High. Even though the Command Force release was delayed until November, Nike Sportswear brings back this 'White Men Can't Jump' edition of the Flight Lite High. 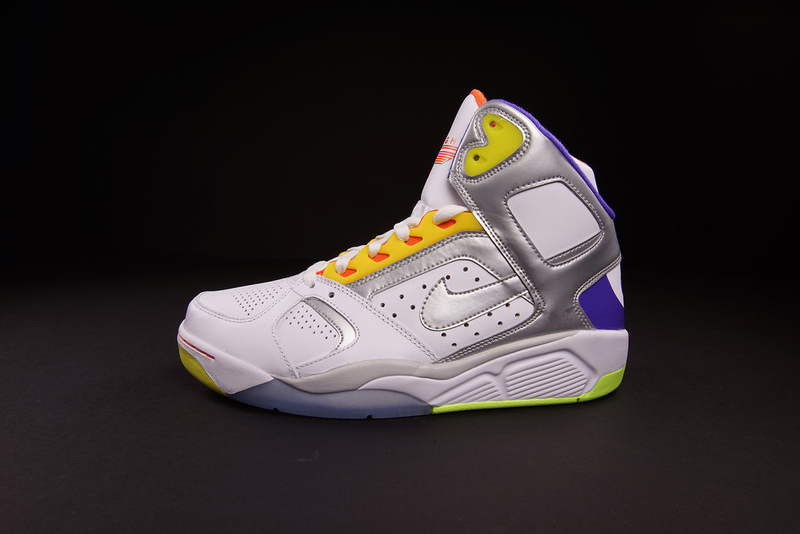 Last seen as a House of Hoops exclusive in 2009, this pair comes in a white, metallic silver, hyper grape and electrolime colorway. 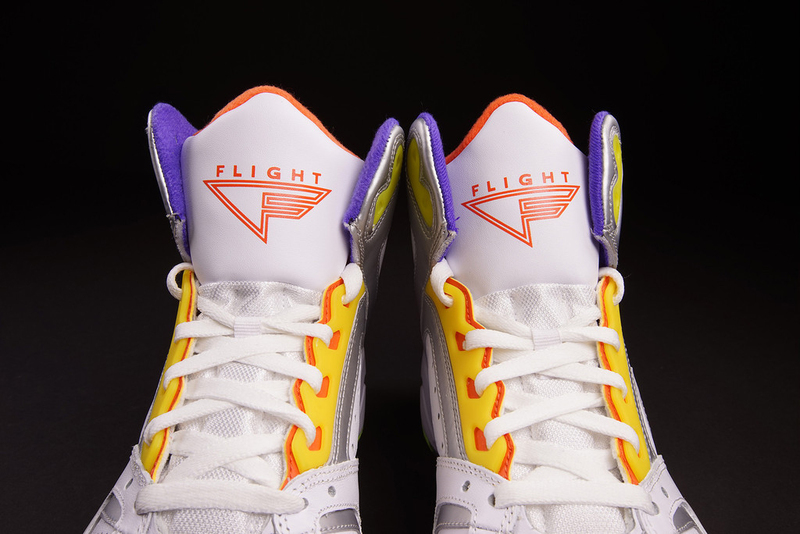 Inspired by Woody Harrelson's Billy Holye characters sneakers found in the classic film, White Men Can't Jump. 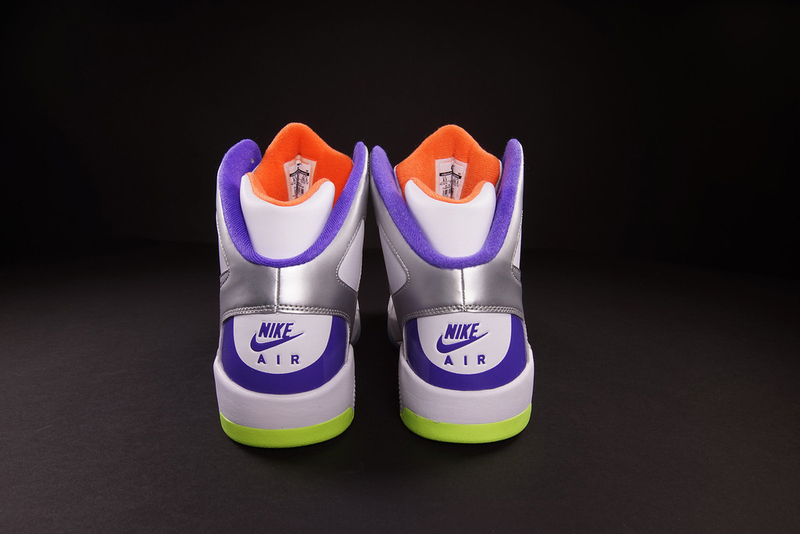 They feature a white-based leather upper with metallic silver, grape, electrolime and orange accents. Unlike the previous drop, these are a general release and will be available in both mens and gradeschool sizes. 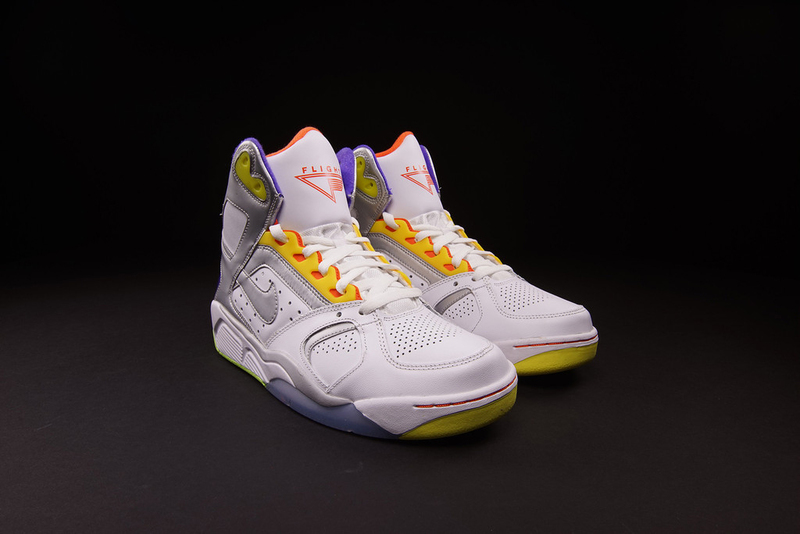 The 'White Men Can't Jump' Nike Air Flight Lite High is available now at Oneness and will hit nike.com as well as select Nike Sportswear retailers on Saturday, October 18.